Greece is well known for producing the world’s finest olives. The Greek city of Kalamata is home to the famous ‘Kalamata’ olive variety, also known as ‘Calamon’. This variety grows in small regions of the southern Peloponnese Peninsula. Our Kalamon trees thrive in optimal growing conditions with a microclimate ideally suited for the cultivation of premium olives. Our groves are located along the sun-drenched mountainous coast of Lakonía, just east of Kalamata. The olives are carefully handpicked and selected at peak ripeness, usually in early December. These full-bodied Kalamata olives are naturally cultivated and cured, just as they were centuries ago, without the use of pesticides, chemicals, or additives. 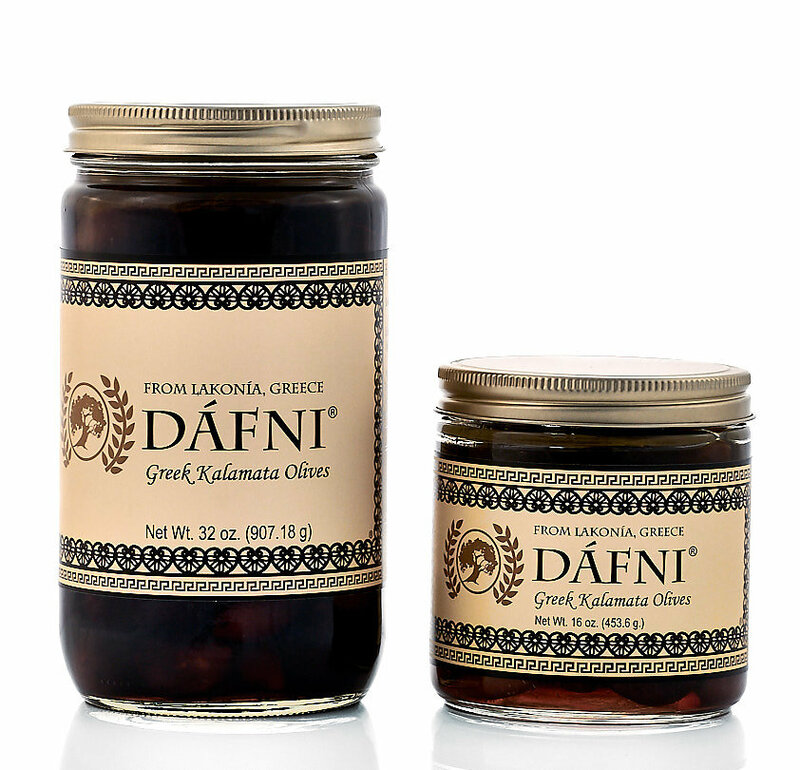 DÁFNI Greek Kalamata olives faithfully reflect the unique characteristics and traditions of Greece’s Peloponnese Peninsula, and deliver a genuine, delicious taste you are sure to savor.